Nigerian comedian Seyilaw in a recent interview with Punch Sunday Scoop has described journalist Kemi Olunloyo as a bully. According to Seyilaw, Kemi’s constant attack on his daughter who is barely one year old is bullying, the comedian went to to add that anyone who bullies a child as young as his daughter needs a mental reevaluation. According to Kemi Olunloyo, Seyi’s daughter, Tiwa, is Obese and diabetic. 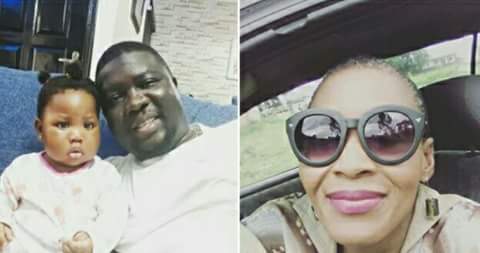 She also claimed that Tiwaloluwa wasn’t healthy and that a relative of Seyi’s wife in London had told her that Tiwa indeed had Type 1 diabetes.